Propulsion: One 60ihp Buffalo gasoline engine, one shaft. 101k Probably photographed soon after she was completed. Her upper hull form was later changed to give her a forecastle in place of the low "turtle deck" seen here. 85k At anchor, prior to World War I. 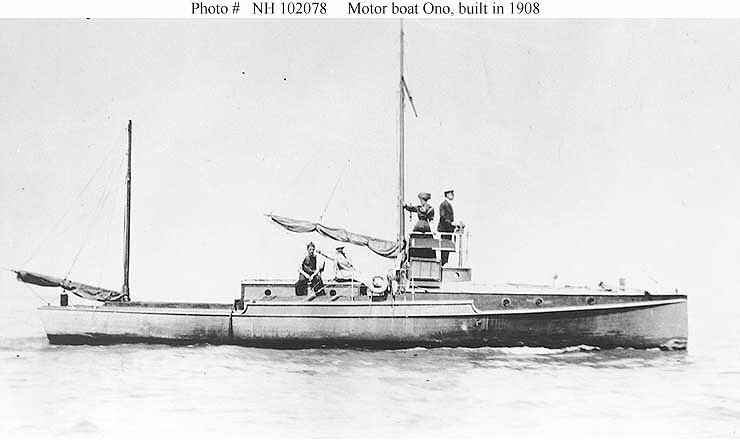 Dictionary of American Naval Fighting Ships History: [The first] Ono, a motorboat built in 1908 at Detroit, Mich. by Seymour, was taken over by the Navy and commissioned at Detroit 16 June 1917, Coxswain William G. W. Quanton in command, and was formally purchased by the government from William Reed-Hill, Detroit, 2 July 1917. 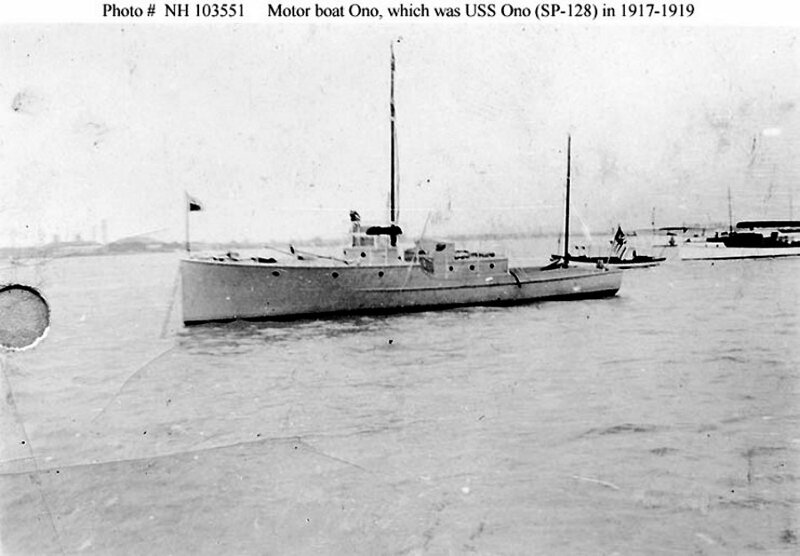 Operating in the 10th Naval District, Detroit, Ono patrolled this area throughout her naval career. 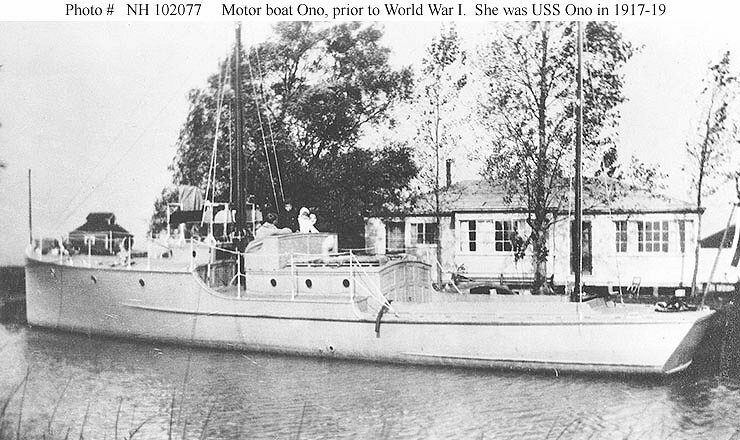 After the war, she was sold to Harry M. Coomer 20 November 1919.